Finally, and I mean finally, we had our first fall like day in Colorado. Trust me, I love summer like everyone else, but it was getting a little ridiculous. And since it feels like fall is fast approaching, I decided to do a “farewell to our summer garden” with some pictures of it at its peak. Swallowtail butterfly dining on butterfly bush, while also taunting my cats. 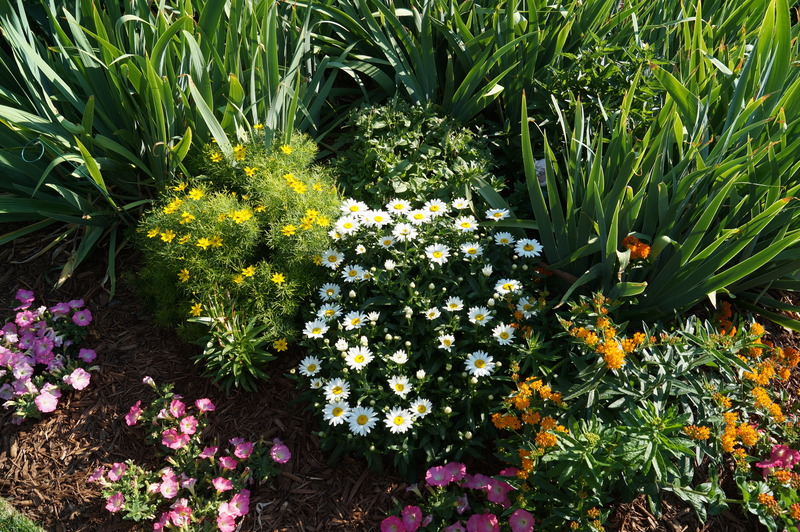 Mixed bed of perennials and annuals. 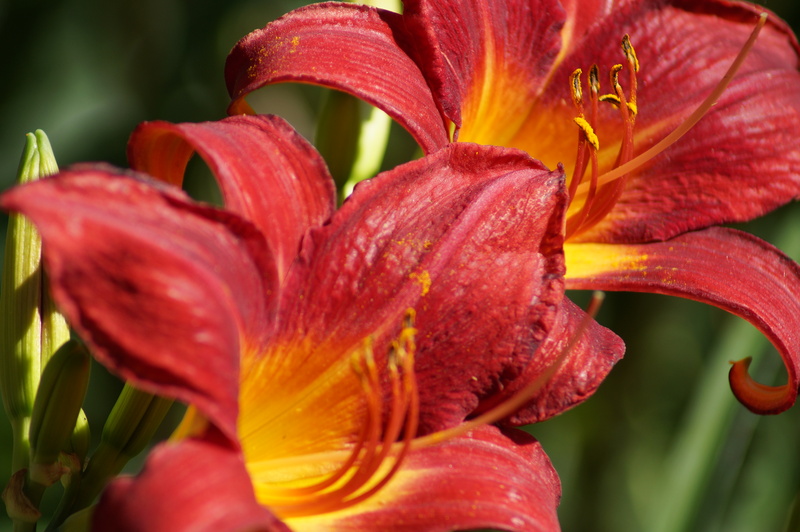 Vibrant daylily. These plants are almost impossible to kill–trust me, we’ve tried. Early morning mimosas on the patio. It’s okay they have vitamin C and I get the orange juice with calcium, so it’s like health food. 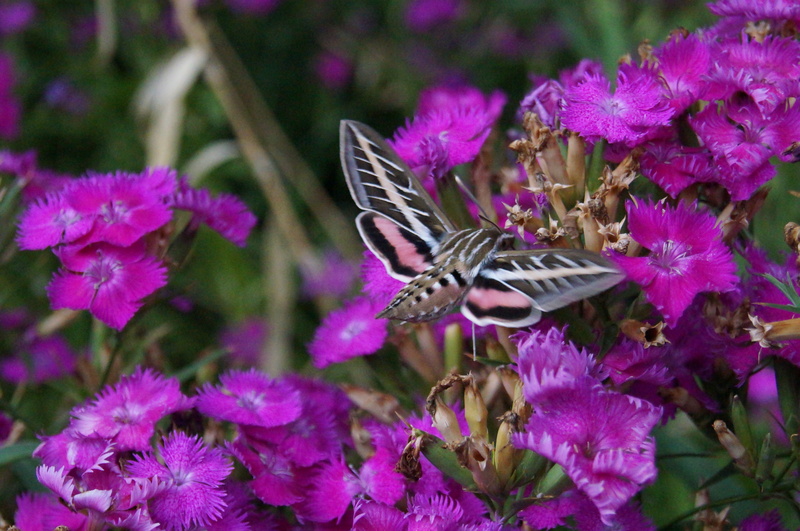 One of my favorite visitors to the garden: the hummingbird moth. They are so fun to watch and also great at teasing my cats. Thanks for checking out my pics. Happy Wednesday! 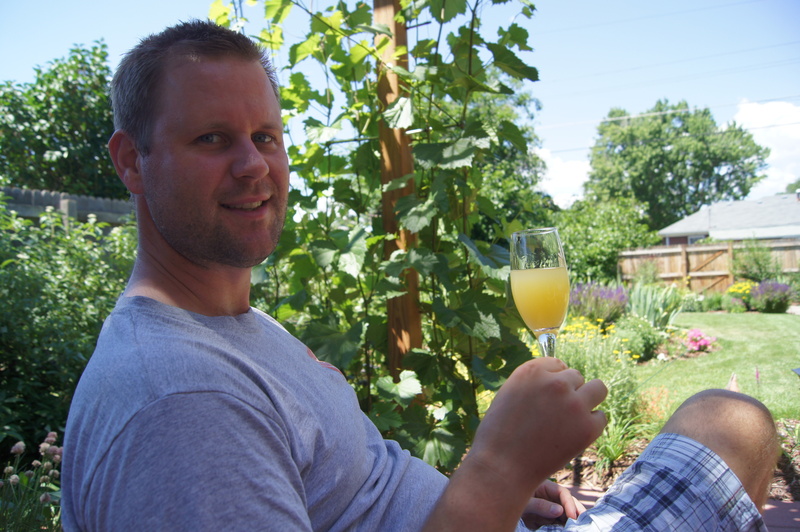 Love your take on the “healthiness” of mimosas…I love them, too. Love your garden as well. Enjoy! Don’t worry. I do the same thing. Usually with the word amazing. I guess the healthiness could apply to the Bloody Mary too, but I don’t really like those. Who knew a moth could be so pretty. Of course, I never get that type in my back yard! They’re really cool, because they fly like hummingbirds too. We only spotted them occasionally the last couple of years and now we have around 3 or 4 of them buzzing around at any given time. Must be something new that we planted? 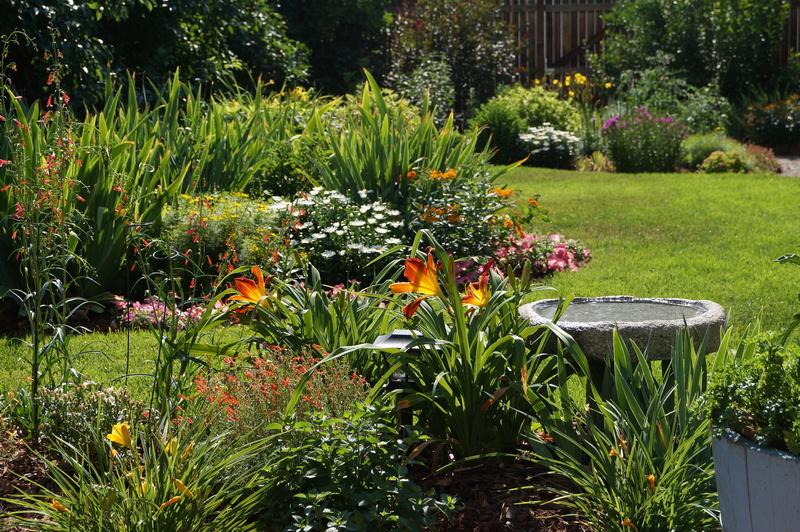 Wow beautiful garden and photography!! So nice to have a place like that to unwind with a cocktail. I’m a little sick of the heat too.. I’m ready for fall. Thanks. The garden has been amazing and transformed so much over the last couple of years. What beautiful flowers and I love the swallowtail butterfly – great photography too. Thank you. 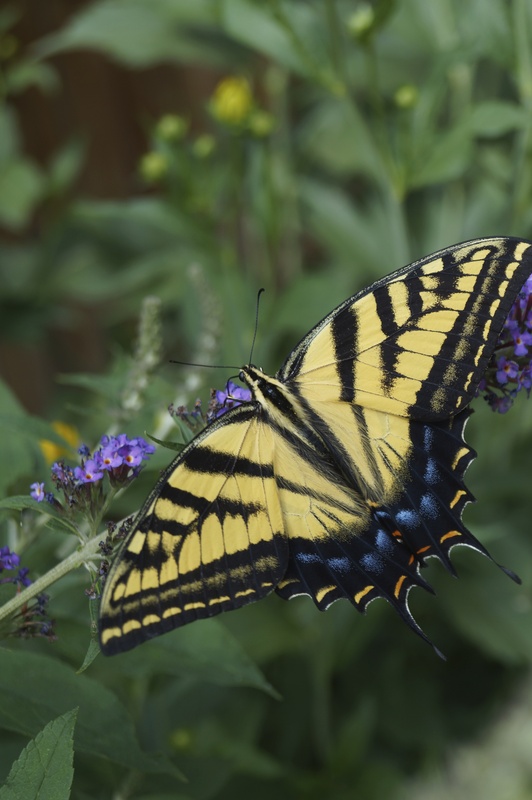 We have a couple of the swallowtails that hang around our butterfly bush (I guess that’s why they call it that). This one in particular was nice enough to pose for the camera. Would you like your receipt? What does getting older have to do with Top Gun?